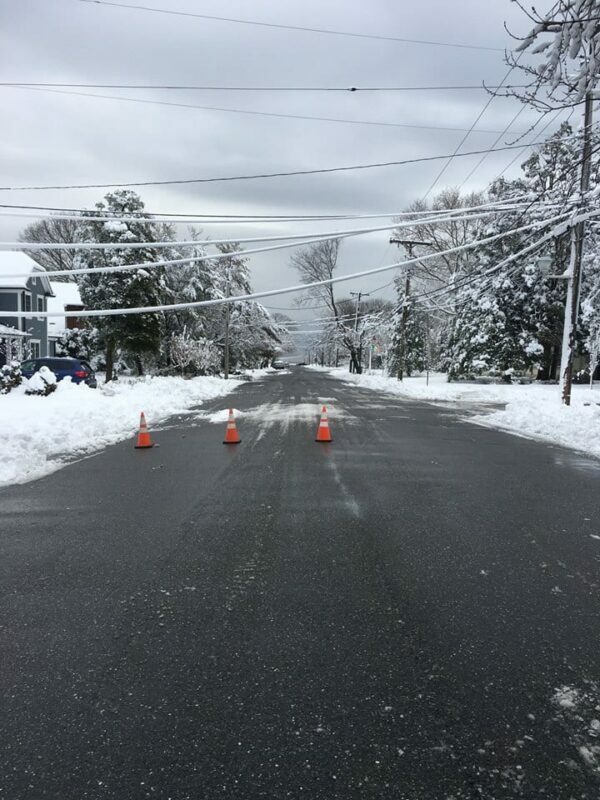 SPRING LAKE-The heavy, wet snow from last night continues to weigh down tree branches and overhead wires – Please drive carefully around the Borough and be mindful of such hazards. In most instances we have marked out the areas with cones and/or caution tape. If you see a dangerous situation involving wires that is not coned off, please contact us immediately. Our officers have been out checking on all reports of low-hanging wires, and we have made the proper notifications to Verizon / Cablevision / JCP&L. However, the repair ETA’s are lengthy, so please be patient and travel safely!